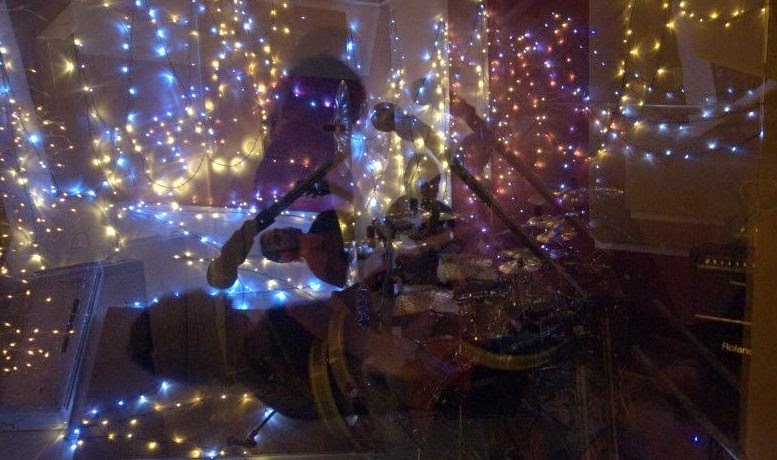 In November 2012 I had just finished off a year of putting on gigs under the Sonic Masala banner with the album launch for Gold Coast-based instrumental duo The Sea Shall Not Have Them. That album, Mouth, was one of my favourites of that year, a totally underappreciated post-rock-metal-whatever piece that held considerable heft seeing that only two men were responsible for that racket. Since that show they have gone on to support both Russian Circles and Pelican, and have now released new EP Walking Through Walls/Elim. The two track release clocks in at 24 minutes, so there needs to be a lot of time invested in this - but God is it worth it. I have to say that this is not only the best thing that TSSNHT has done - but it's the best release of this ilk I have heard this year. It is a perilous task nowadays to craft instrumental rock without it sounding in any way derivative. The two songs here - the fourteen minute behemoth 'Walking Through Walls' and the "minuscule" ten minute 'Elim' - focus on building a cavernous atmosphere, bleeding out the nuances and emotions, with a delay and slightly dulled production that shaves the edge off the band's precision. This is an imminently good thing because most "post-rock" bands in this day and age focus so much on precision and production values, that there is no mystique involved - it is all contrived and obvious. The chimes in 'Walking Through Walls' gives a Mono delicacy - there is a patience here at building the layers, rather than a join-the-dots necessity to drag a tune out minute after minute. 'Elim' has a more sinister bent but is nonetheless patient in doling out the atmospherics. And when the catharsis arrives, it isn't in an explosion of noise and theatrics (and don't get me wrong, I love that when it's done right - that's why Mogwai is my favourite live band) but a controlled roar that never loses focus. This isn't about ticking boxes. It is a little grandiose - the piano in the last element of 'Elim' in particular - but grandiosity is welcome when the foundations warrant it. Grab Walking Through Walls/Elim here.